Since their introduction in 1997, Roth IRAs have garnered a great deal of attention as an alternative to traditional IRAs. The primary difference between the two types of retirement savings vehicles is the tax treatment of contributions and withdrawals. Traditional IRAs allow you to make contributions that are tax-deductible for the year of contribution, then pay taxes upon distribution. Roth plans provide for contributions using after-tax dollars, but the earnings and withdrawals are generally tax-free. 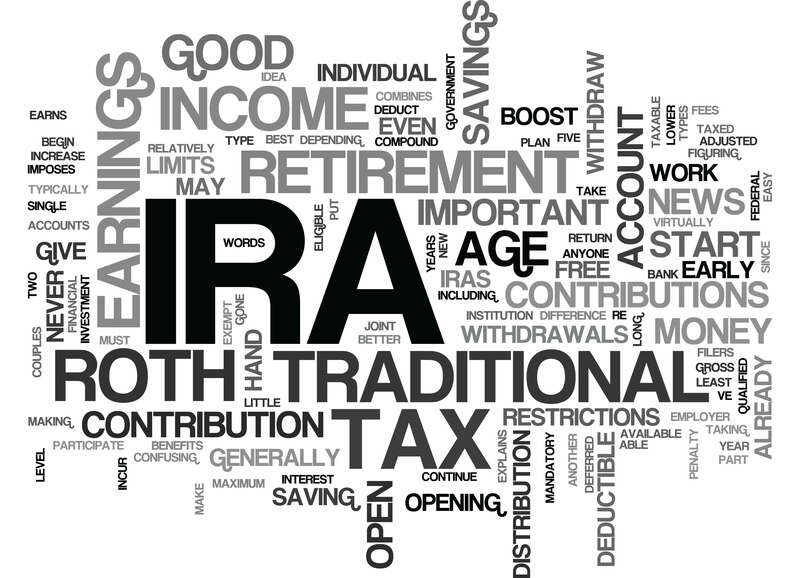 So which IRA is better? Well, the devil is in the details. Which is what makes the conversion to a Roth IRA a worthy discussion. Before jumping on the Roth Conversion bandwagon, there are a number of things to consider. Are You Even Eligible for a Roth IRA? If you are married filing jointly and only have one income, each spouse can contribute to a Roth IRA, but income threshold limits still apply. Originally the IRS placed an income cap of $100,000 if you wanted to convert from a traditional to Roth IRA. That restriction has been removed, but you may still be subject to a tax on the converted funds (remember they were contributed pre-tax) if you choose to convert your plan. While there are no restrictions on withdrawing the contributions you make to a Roth IRA (remember those contributions are made with after-tax dollars), you are not allowed to take distributions of the accrued earnings (which are generally not taxable) until five years after the date the contribution was made, without incurring taxes and possibly a 10% IRS penalty tax. This five-year rule applies to Roth Conversions as well. If this is starting to sound like algebra, well, you’re right, it is. Are There Benefits to Converting to a Roth IRA? Absolutely! Roth IRAs do not require Minimum Required Distributions (MRDs), which can be unwanted taxable events for super-savers. Moreover, your Roth distributions do not contribute to your taxable income. This means that the earnings on your retirement savings are not taxable – and those earnings are why you’re saving for retirement in the first place. You can also keep contributing to your Roth IRA after age 70 ½ (provided that you are still working) giving you more opportunities to save for the future. Conversion to a Roth IRA can be confusing. Don’t make mistakes that can be costly by trying to understand the tax code alone. Call Mooney Lyons and set up an appointment with one of our professionals. We can help walk you through the many different options available and create a retirement savings program tailored to your specific goals. Content in this material is for general information only and not intended to provide specific advice ore recommendations for any individual. The Roth IRA offers tax deferral on any earnings in the account. Withdrawals from the account may be tax fee, as long as they are considered qualified. Future tax laws can change at any time and may impact the benefits of Roth IRAs.